In the soccer gear world, there seems to be no such thing as a secret. Boot colorways and updates get leaked months, sometimes years, in advance. Despite leaking content being the weakest type of writing and bordering on illegal (at times), sites spring up daily offering pictures of gear that hasn’t quite made it to the general public. Still, we do occasionally get to experience genuine surprise and awe, and Nike has managed to stay one step ahead with their newest offering: the Camo Pack. 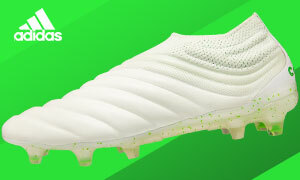 Although the release is a total surprise, the name might be the first true pack name from Nike that actually lets us in on what the boots will look like without actually seeing them. If someone just said “tech craft” or “radiant reveal,” the odds of you guessing the colors of the boots would be quite unlikely. For the camo pack, Nike’s four silos are getting dipped in, you guessed it, a healthy dose of camo. While these won’t be the first boots we’ve seen sporting camo (thanks Under Armour and Puma), Nike always takes their ideas to the next level. The Camo Pack does not seem to be any different. The four silos all get a fairly different look to them within the confines of modern camouflage. 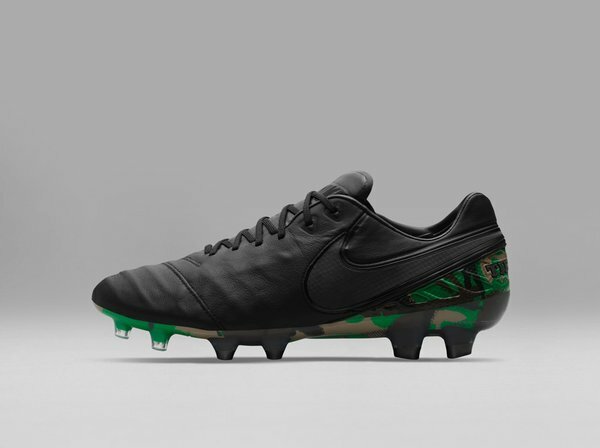 For the Tiempo, the camo is kept to the heel and soleplate. The camo color for the heritage silo is also separated by being dominated by an old-school camo-style green, but we love the look as it blends the blackout style of the Academy Pack on the forefoot with the splash of camo on the heel. 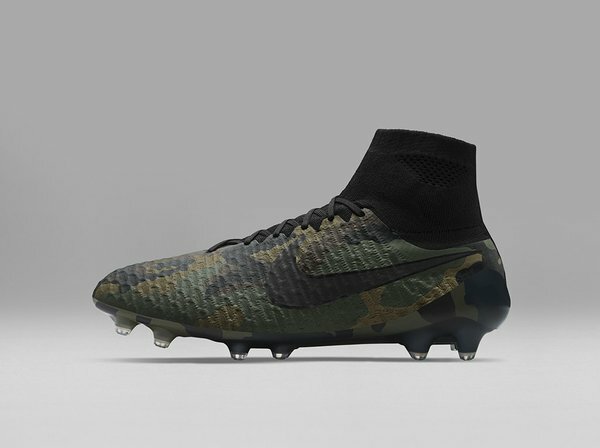 For the Magista, it’s all about stealth as the entire boot is covered with a dark camo pattern. For some, the camo pattern might not be obvious enough on Nike’s control silo, but we like the feel that the boot has achieved here. 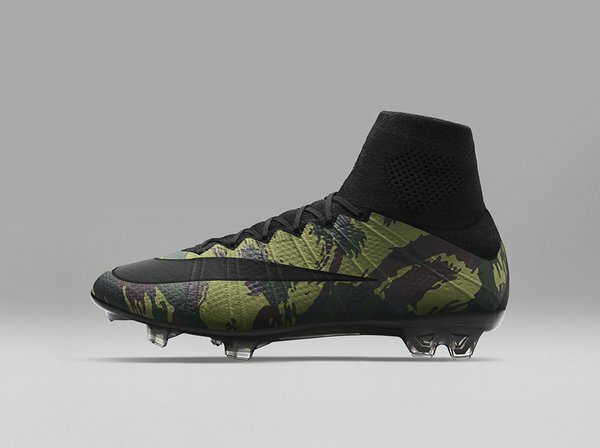 On the HyperVenom, we see more of a desert-style camo pattern. Light brown and dark brown dominate the upper and the colors are only broken by the HyperVenom styling above the soleplate and the Nike Swoosh…this might be the pick of the bunch! Lastly, the SuperFly is given its camo look with, from someone not extremely well-versed in camo, a look that feels the most modern. Wild splashes of brown and dark green sit atop a light green and, despite being given the “camo” moniker, will definitely not go unnoticed on the pitch. 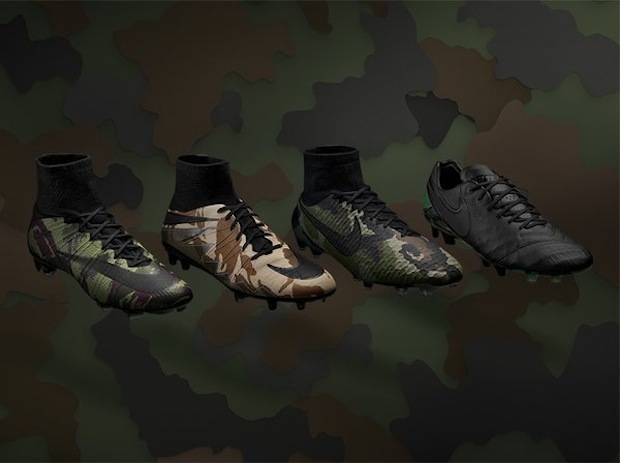 The true purpose of camouflage might be to disguise or hide something, but there is no doubt that these boots will probably bring MORE attention to the players using them instead of less. It’s an impressive series from Nike and only continues to strengthen their ranks as we draw closer to an action-packed summer. 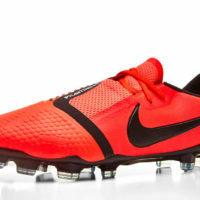 Keep an eye out for these boots on European pitches over the next few weeks and see if you can sneak yourself a pair. 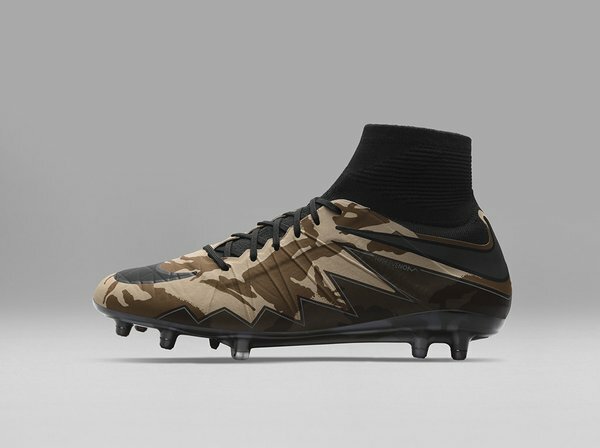 Nobody saw the Camo Pack coming, so perhaps these are the boots to wear so the opposition won’t see you coming. Kudos Nike…we’ll take a dozen.